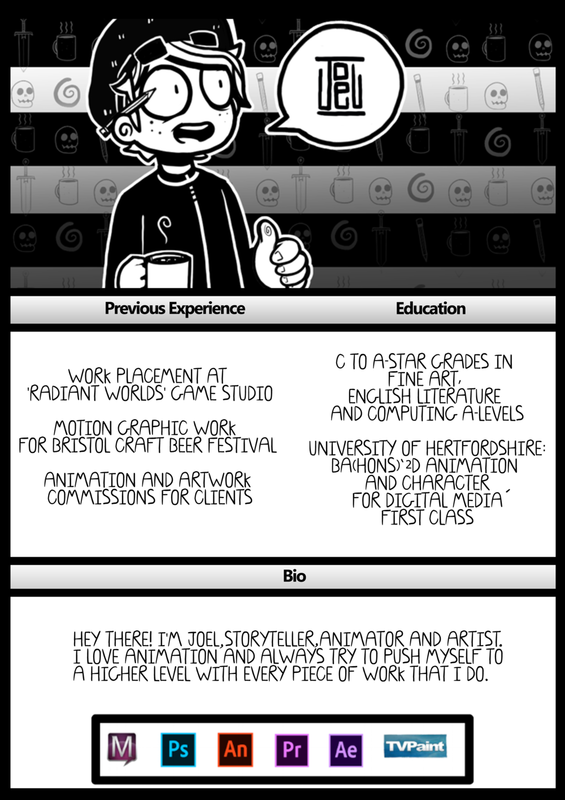 I am a graduate in '2D Animation and Character For Digital Media' from the university of Hertfordshire. After being interested in animation since I was in my early teens, initially as a hobbyist, I dabbled in: video editing, flash animation and some basic music production. I decided to study animation at university and made my A-level choices around what would benefit me the most for the career I wanted: English Literature, Art and Computing. Though I'm just getting started as a professional, I never compromise the quality of my work and aim higher with every new project. My interests are playing guitar and drawing for fun, though I'm pretty insane with a Frisbee also. Most of all I love to make things.